Fantastic floor plans. 3 car garages available. Including Lawrenceville, Lilburn, Dacula, Grayson, Loganville and Snellville. SOUTH GWINNETT NEW HOMES OVERVIEW - If you're looking for a new home for sale in a dynamic, desirable place to set down roots, South Gwinnett County is a great choice for your next new home, condo or townhome. Located about 35 miles northeast of Atlanta, South Gwinnett County is bustling with opportunity, entertainment and top communities with new homes for sale for couples, families and empty nesters. Interstate 85 runs northeast from Atlanta, dividing North and South Gwinnett. The southern part of the county includes the cities of Lawrenceville (the county seat), Lilburn and Snellville. Gwinnett is the second largest county by population in the state of Georgia, with about 940,000 people. In 2018 the county celebrates its centennial. Residents of this vibrant, diverse Georgia county call themselves 'Gwinicians' (rhymes with Phoenicians!). It's easy to reach South Gwinnett County from the south and west via I-285. From the north, the area is accessed by I-985 and I-85, which is a straight shot into downtown Atlanta. In 2017, the county approved millions of dollars in road improvement projects, which will be essential to accommodate anticipated population growth in coming years. South Gwinnett is an economic engine, with impressive business and jobs growth. Major employers include Cisco Systems and a large Publix distribution center. Lawrenceville's South Lawn initiative is a $20-million, 32-acre mixed-use project with homes, retail and a town green. Lawrenceville is also home to the highly regarded Gwinnett Medical Center, and Georgia Gwinnett College, a four-year institution that's part of the University System of Georgia. Whether you're in the market for a new townhome or a traditional single-family home with a yard, South Gwinnett County is known for excellent residential value. New homes in the area, like new homes in much of metro Atlanta, rose about 10% in value last year. There are currently 93 new home communities in the area. 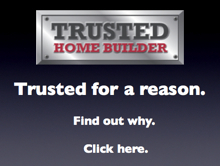 Leading metro Atlanta builders are active in this highly competitive market. 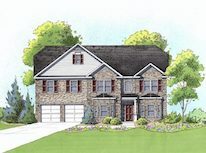 Look for new townhomes and homes for sale by prominent homebuilders including Kerley Family Homes, SR Homes, Edward Andrews Homes, Rocklyn Homes, Paran Homes, Taylor Morrison, Richardson Housing Group and John Wieland Homes and Neighborhoods, as well as other national and local new home builders. Variety is the name of the game when it comes to new homes and townhomes in South Gwinnett. Choose a 4-bedroom home in a full-amenity community in the $300s, just off I-85. You may be in the market for a roomy family home in the mid-$400s near the sought-after Peachtree Ridge High School. Or perhaps your South Gwinnett dream home is a seven-figure executive estate on a multi-acre parcel of lush farmland. Or you may be looking for an affordable new townhome community priced under $200,000. If you're looking for a great new home for sale and lifestyle, look at South Gwinnett! The area boasts arts and culture, top-rated schools, historical sites, higher education, health care, parks, and abundant shopping and dining. The county describes itself as combining 'the best of big-city living with the comfort of the suburbs.' And we couldn't agree more. When you add strong employment opportunities in high tech, film making, manufacturing and healthcare to the mix, South Gwinnett County is even more attractive. The area, and its new homes, townhomes are among the best the Atlanta metro has to offer. Thank you for choosing AtlantaCOMMUNITIES.com as your #1 source for new homes in South Gwinnett County and Lawrenceville, GA. Join our mailing list to keep up to date on all new home development, as well as new townhomes and condos in South Gwinnett County or the Atlanta Metro Area as a whole, by clicking here.